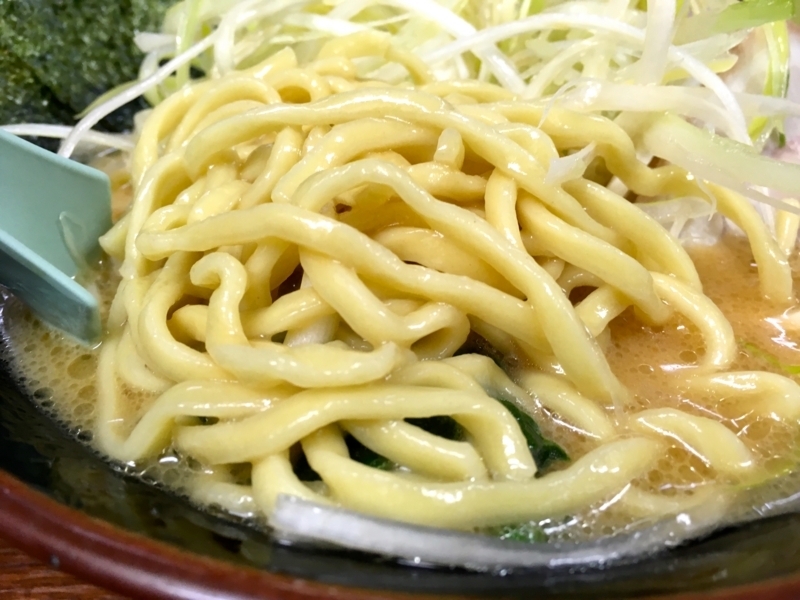 In Japan, there is rich noodles originating in Kanagawa prefecture. It is called "Ie-Kei" and it is made with thick pork bone soup, soy sauce sage and flavor oil extracted from chicken. It is a feature that customers can order soup denseness, hardness of noodles, flavor oil concentration according to their preference. 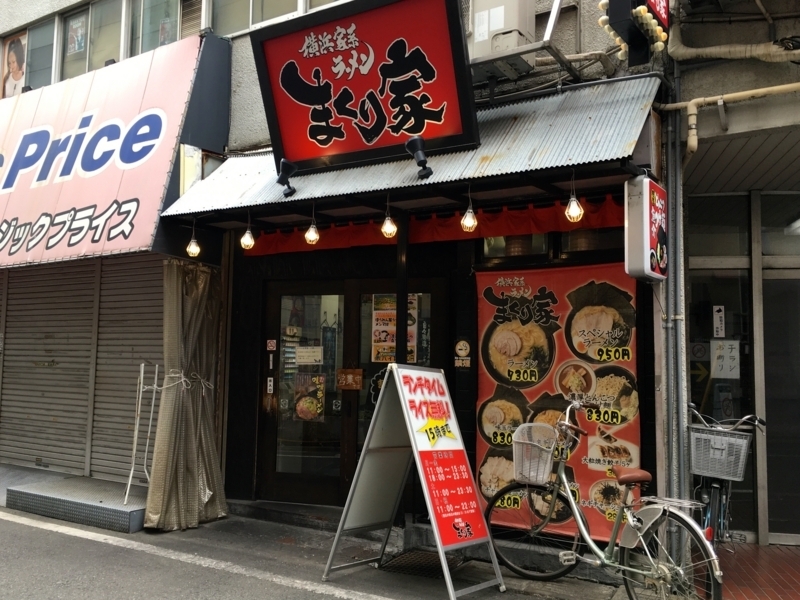 Recently, this ramen has become popular in Japan, and stores are increasing here and there. One day, I ate this "Ie-Kei" ramen because I was hungry furiously. I visited a store called "Makuri-ya" in front of Shin-Maruko station on Tokyu Toyoko Line. I topped with green onions. And I ordered the noodles to be slightly kneaded. Basically, the soup is cloudy. This is the proof that the extract of pig bones was boiled while being stirred. It seems that this process greatly affects the finish of pig bone soup. It is a very thick soup. 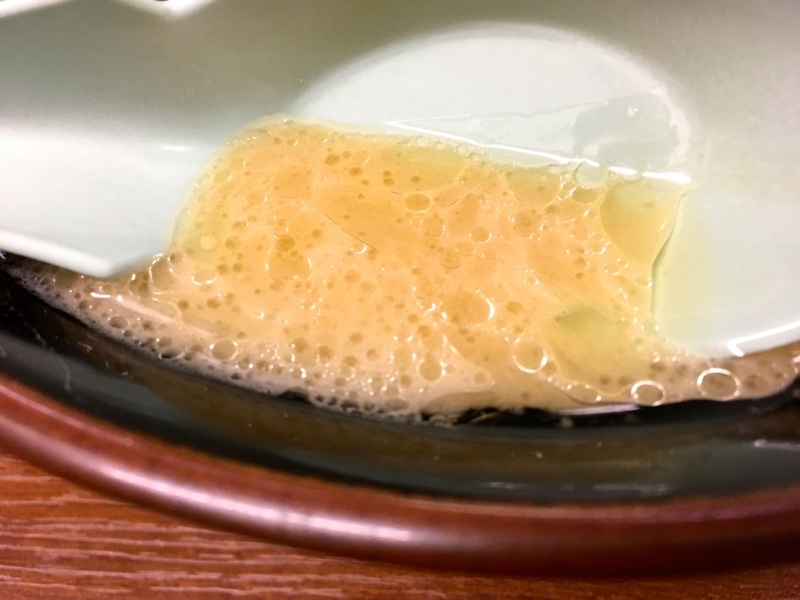 To this soup, the taste and saltiness of soy sauce are added. It looks very high in fat. So, we recommend that you add toppings such as vegetables. The noodles are very thick and shrinking. The moisture is slightly less, and the soup is stained with noodles. That state is delicious. Noodles and green onions are involved, and you can enjoy the cheeks. Noodles are compatible with garlic, and their fragrance enhances appetite. It is addictive taste. 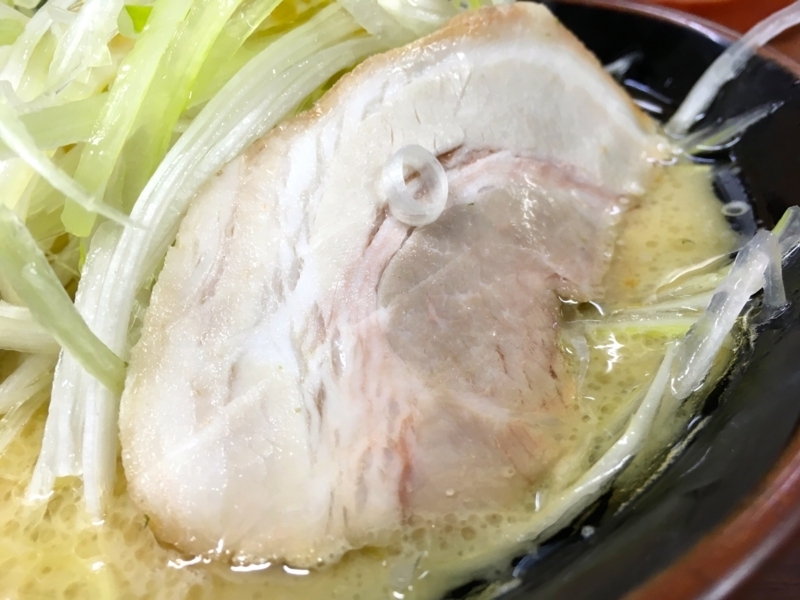 Chasyu is a ribbed meat. It's a very common style. I like to eat with rice, rather than eating it with ramen. Likewise, I prefer eating nori with rice. 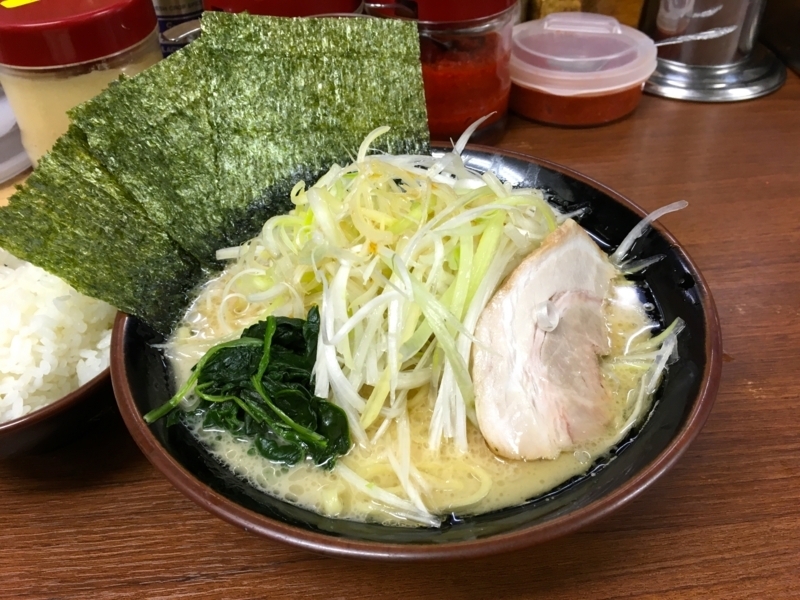 The shop that offers this style of ramen is very common at lunchtime where we serve rice free of charge. So, if you visit, lunch time is good. 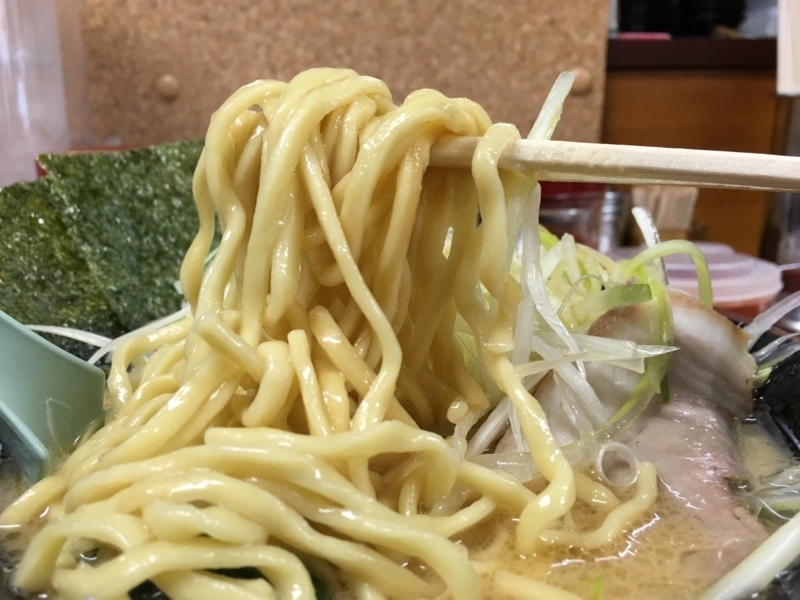 When you eat this style of ramen, you will most likely get hungry. Recommended when you are very hungry.